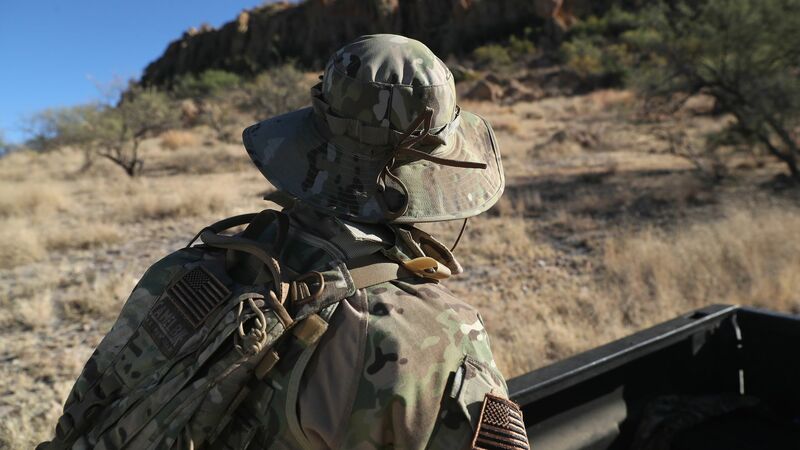 More than 100 volunteers from U.S. civilian militia groups are en route to the southern border in an effort to enforce the country’s immigration laws, as thousands of Central American migrants make their way through Mexico to seek asylum in the U.S., reports the Washington Post. The big picture: The volunteers and so-called “border vigilantes” were motivated by President Trump’s constant warnings that the migrant caravan posed a threat to the country’s national security. Trump has also claimed that “criminals and unknown Middle Easterners” are among those traveling. “My phone’s been ringing nonstop for the last seven days. You got other militias, and husbands and wives, people coming from Oregon, Indiana. We’ve even got two from Canada,” Shannon McGauley, president of the Texas Minutemen, tells the Post. President Trump doesn’t want to give Puerto Rico any more federal money for its recovery from Hurricane Maria, White House officials have told congressional appropriators and leadership. This is because he claims, without evidence, that the island’s government is using federal disaster relief money to pay off debt. The big picture: Trump also told senior officials last month that he would like to claw back some of the federal money Congress has already set aside for Puerto Rico’s disaster recovery, claiming mismanagement. Trump is as jazzed as ever about hitting foreign-made cars with steep tariffs. Just about every member of his senior economic team besides Peter Navarro believes this is a terrible idea. But they haven’t swayed him. What’s happening: With each passing month, his zest for car tariffs only swells. House Republicans and Democrats will soon elect their leaders to take them through the 2020 elections. Here’s a read of the field, from well-placed Republican and Democratic sources. What’s happening: Republicans go first, holding their leadership elections on Wednesday. Legislation designed to reduce federal prison sentences for some non-violent crimes and to help prisoners prepare for freedom is inching its way toward the Senate floor. And it just got a big boost from an unlikely ally: rank-and-file police. What’s happening: The Fraternal Order of Police — the largest law enforcement labor organization in the U.S. — announced Friday its support of a bipartisan Senate criminal justice reform bill, which would lower certain mandatory sentences, incentivize prison rehabilitation programs, provide sanitary products to women and potentially release around 4,000 people. Why it matters: This would be the largest-ever purchase of a VC-backed enterprise software company, and the third-largest sale of any SaaS company (behind Oracle buying Netsuite for $9.3 billion, and SAP buying Concur for $8.3 billion). Democrats pulled off a slew of significant — yet still moderate — victories in state legislative and gubernatorial races across last week after years of brutal losses as they attempt to chip away at Republicans’ sweeping control of the redistricting process before the next round begins after the 2020 census. The backdrop: In most states, voting maps are drawn and approved by state lawmakers and governors every 10 years to reflect population change. Both parties have used their time in power to craft maps to disadvantage their opponents, but Republicans took it to the extreme in the 2011 redistricting cycle, preventing Democrats from netting more state legislative seats across this year’s midterm elections. “Axios on HBO” is back tonight at 6:30 p.m. ET/PT. Driving the news tonight: Our poll finds 61% of Democrats think Republicans are racist … Inside the flood of new investigations about to hit Trump … Impeachment pressure … The new way women ran — and won. Go deeper: First look at our interview with Rep. Adam Schiff, featured in this morning’s Axios AM. Thai businessman Chatchaval Jiaravanon has acquired Fortune magazine for $150 million, in just the latest example of a U.S. business publication ending up in the hands of an East Asian buyer. Be smart: The day might not be that far off when there are no major American-owned business publications at all. Even Business Insider is German. Top Saudi officials, including deputy intelligence chief Ahmed al-Assiri, who was blamed and fired last month for allegedly ordering the murder of journalist Jamal Khashoggi, inquired about assassinating the kingdom’s Iranian enemies during a meeting with private businessmen in March 2017, reports the New York Times. The big picture: The meeting was part of an effort by a group of international businessman to pitch the Saudis on an operation to sabotage Iran’s economy. During the discussion, Saudi officials reportedly asked about killing Qassem Soleimani, a general in Iran’s Islamic Revolutionary Guard Corps, but were rejected by the businessmen’s lawyer. Per the Times, the episode highlights the fact that more than a year before the killing of Khashoggi, officials close to Crown Prince Mohammed bin Salman had increasingly become interested in carrying out high-risk, covert operations targeting the kingdom’s enemies.